My previous article included a table listing the various demosaicing algorithms offered by the four raw processors considered and I wondered why we (as users) needed such a wide choice. The table is reproduced below. I decided to investigate those offered by RawTherapee by looking closely at the detail in an image of tree branches against the sky – the same part of the same raw file processed by each of the algorithms. Author John WiddallPosted on 6 February, 2014 19 December, 2017 Categories Computers, PhotographyTags Darktable, false colour, Photography, RawTherapee, software, Ubuntu4 Comments on Raw Processors: Which Demosaicing Method? Author John WiddallPosted on 8 January, 2014 19 December, 2017 Categories Computers, PhotographyTags Darktable, lens correction, Lightzone, Perspective correction, Photivo, Photography, RawTherapee, software, Ubuntu8 Comments on Which Raw Processor? 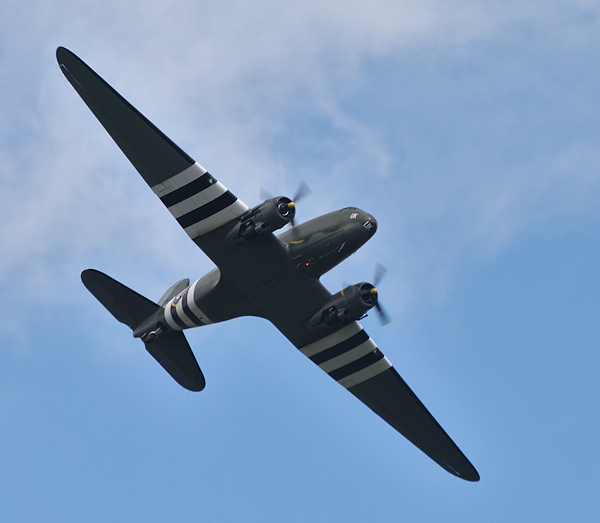 As part of a recent event in Saddleworth, we were treated to a flypast of a DC47 Dakota. Perhaps a few tips on how to photograph this sort of subject would be useful to others facing a similar challenge. The usual way of implementing a dual-boot system is by software. During the boot sequence the user selects the required operating system from a list. This is fine until one or other of the installed operating systems requires upgrading to a later version. Can we be confident that the dual boot will still work after the upgrade? At the very least we would be advised to backup everything. There is an alternative which avoids all such worries; instead of switching between operating systems in software, use a hardware switch. Imagine a simple toggle switch on the front of your machine: UP for Ubuntu, DOWN for Windows – select the OS then power up. I have devised a method of measuring gamma without the need for special equipment – a way of setting up a display which is independent of the operating system. Commercial profiling systems don’t seem to provide software for Ubuntu (Linux). There are several charts and applets on the web which rely on subjectively matching stripes and grey patches but whilst my method uses the same principle the match is based on measured luminance rather than on human judgement. The method uses test targets displayed in Photoshop (or other image/graphics processing application) – which has the advantage of predictable colour management – and hardware costing about £10 (US $16) including the meter! I have just added a page describing the system. Have a look and feel free to comment. Since my previous post and uploading the page on this subject I have noticed that the test cards look different in different browsers. In IE and Chrome the shadow card shows a just perceptible difference between the ‘4’ patch and the ‘0’ background. In Firefox, Seamonkey and Safari there is a more noticeable difference. I believe this is because these last three are implementing colour management and are showing the card ‘correctly’. This was confirmed by viewing the file in Photoshop and selecting either ‘don’t color manage’ or using the embedded profile (sRGB). I should point out that since the page was originally uploaded I have replaced the jpeg test cards with .png files so as not to confuse matters with embedded profiles. This does not in any way invalidate the above statements but it does mean that to view the files correctly in Photoshop a profile (sRGB) should be assigned and colour management applied on opening. The appearance of the test cards (now without embedded profiles) in the listed browsers is unchanged, suggesting that those browsers implementing colour management are assuming an sRGB profile. How often at photographic club meetings do we hear the comment “It doesn’t look like that on my monitor” when an image is projected? Obviously the fault could be with the projection system (i.e. computer and projector) or with the monitor, or both! If you are serious about producing good quality images for projection or printing, you could start by checking your monitor. I have just published a completely revised technical note including two test cards which will show at a glance whether your system needs adjustment. Please have a look at this and let me have comments.